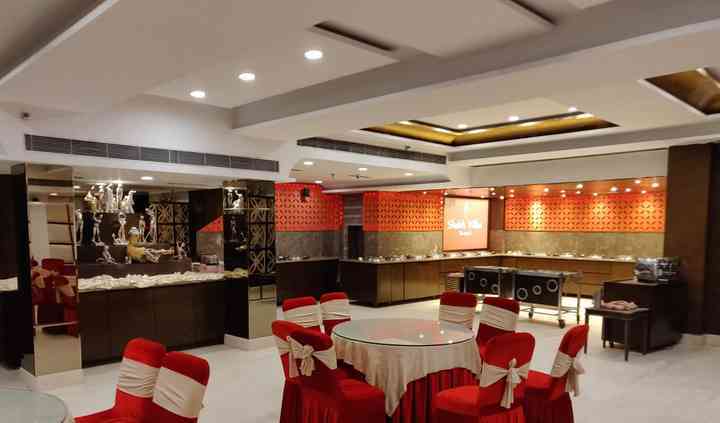 Chandelier by Sandoz is a venue based out of West Delhi that is available for hosting your wedding ceremonies. The venue that you finalise goes through a variety of screen tests both major and minor. You not only check the aesthetical appeal and pleasing exterior but you also step it up with the capacity of the venue to provide comfort to your friends and family who come to grace your new beginnings. To save your time and the task of going through a million irrelevant options out there, Chandelier by Sandoz comes to you in a complete package. Chandelier by Sandoz is a venue situated in the city and it enjoys an easily accessible location for your friends and family to arrive. 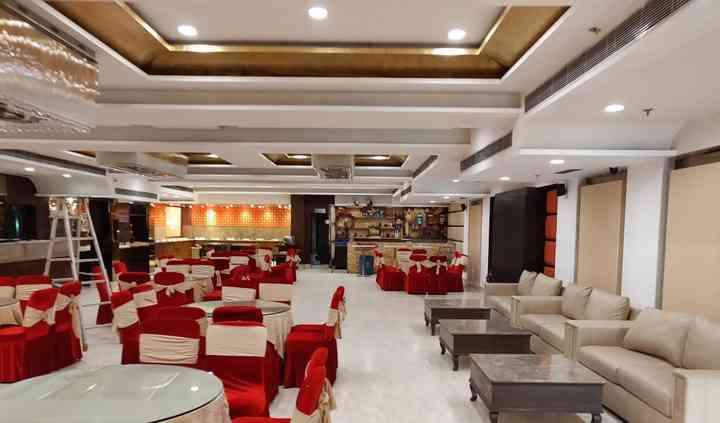 They have a banquet hall to offer to you and this exquisitely built space is infused with the comforts of modern architecture with an ideal set up suitable for hosting your ceremonies like the engagement, cocktail, mehndi, sangeet and so on followed by the grand reception. The venue can be decorated in the colours and props of your choice and they have decor vendors empanelled with them who will assist you to turn the wedding venue into your dreamy destination. 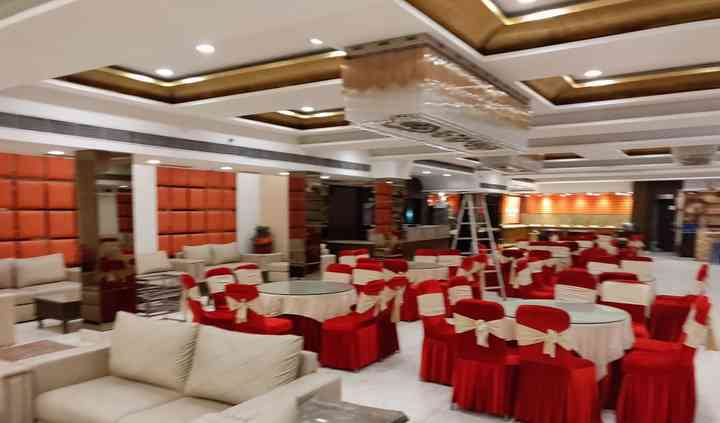 They are not only a comfortable and convenient venue equipped with the necessary amenities but they also provide you with their in-house catering services to add to the luxury. They have a team of skilled servers who provide flawless services to make your dining experience an unforgettable one. 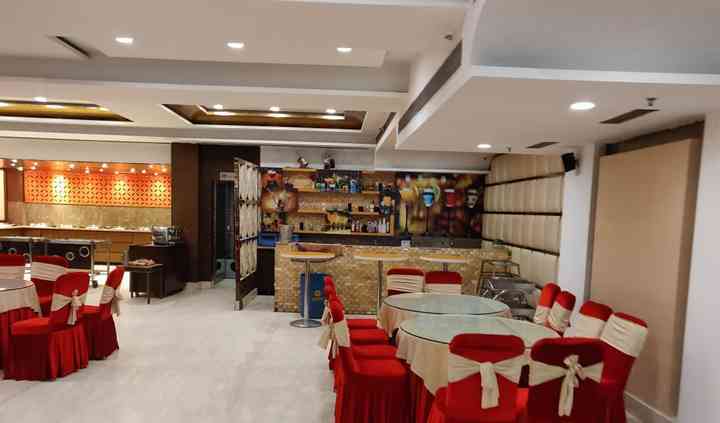 They will bring to you a variety of delicious cuisines from a plethora of lip-smacking dishes made from different recipes including both vegetarian and non-vegetarian platters at your table to make it a grand feast with a royal food spread. They will ensure that your wedding is a booming success for all.